Our kids (especially our daughter), love to have chocolate granola for breakfast. 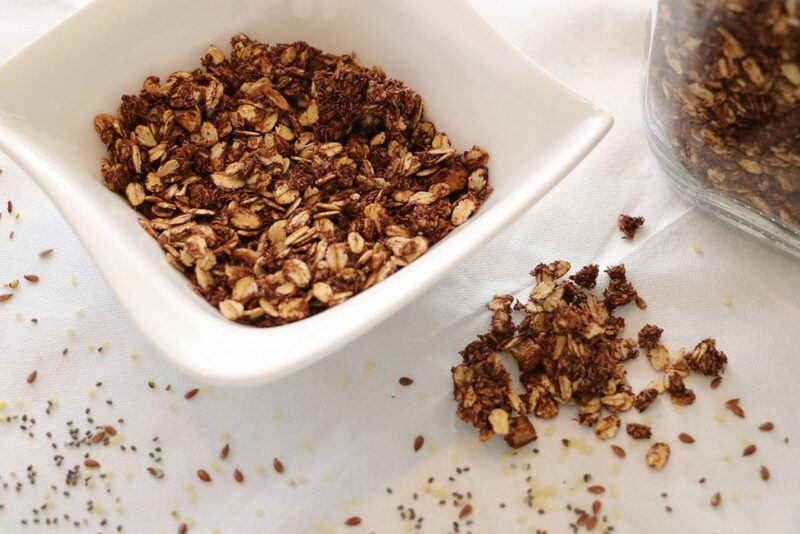 Unfortunately, most of the ready ones contain too much added sugar, and preferably I would like to avoid this......the good news is that you can make your own chocolate granola without the added sugar, and include only healthy ingredients! Below I am sharing a healthy chocolate granola recipe, that you can make with your kids. This will be a great opportunity to get the kids involved in the "cooking" process, and make them aware of what it means to nourish your body with healthy food, and how to look and create healthy options.